The article below is reproduced from the Voice website. 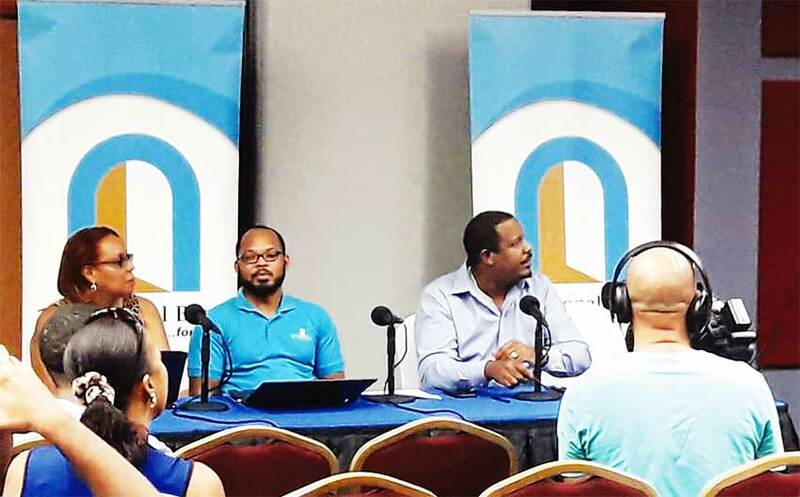 The 1st National Bank three weekends ago held a public discussion on ‘Banking and the Marijuana Industry’ – and to this day, to what extent the bank will be driven by the results is still a sixty-million-dollar question. 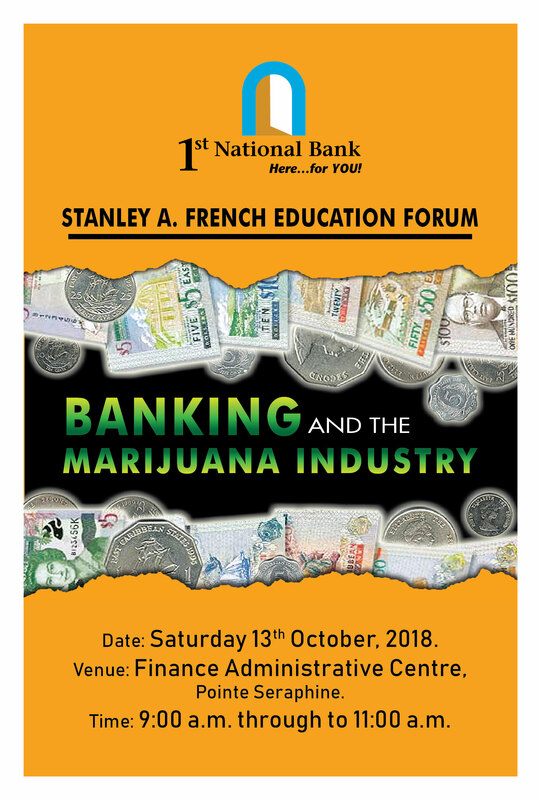 The latest in its continuing series of lectures organized by the bank’s Stanley A. French Education Forum, the lively discussion took place at the Financial Administrative Centre at Pointe Seraphine on Saturday October 13. The bank had already discussed issues relating to ‘Money Laundering’ and ‘De-risking’. So, with millions involved – and this being Financial Literacy Month – the island’s first indigenous bank, now in its 88th year brought the debate to the banking industry’s table. The bank’s hope is to urge legal and political fraternity to also address the unanswered questions here while a couple other Caribbean countries are pressing ahead with greater urgency to keep up with the pace of change. The discussion was held just a couple days before Canada was to make good on Prime Minister Justin Trudeau’s promise that Canada will be the first G7 country to legalize marijuana and hours after Jamaica’s Trade and Industry minister announced the first shipment of marijuana exports had left the port of Kingston: a shipment of marijuana oil heading to Canada. The 1st National Bank’s discussion looked at several questions relevant to how the local banking industry should respond to the accelerated pace of changes in attitudes towards marijuana internationally and the fact that it’s decriminalization and legalization in Canada will speed-up the pace at which it becomes a billion-dollar industry. With the number of US states opening the way for marijuana to continue to flourish as a new Big Business and major European Union (EU) states also decriminalizing the herb, the wonders of industrial hemp – also a cannabis product – are being explored by innovative manufacturers in both Europe and North America. Keeping pace with the quick changes, banks in Canada have also fast-tracked their attitudinal changes and have positioned themselves to facilitate the growing banking business that will naturally emerge from the legalization of the product. The same is also expected to happen in the US, where there’ll be a serious discussion on federal legalization of marijuana after the upcoming mid- term elections. The problem facing small countries like Saint Lucia is that while the developing countries of the world are playing catch-up, the major developed nations are going full speed ahead in making marijuana a big global business. Same with the Caribbean’s banks: while the Canadian banks are already doing marijuana business in the new dispensation, Saint Lucia’s banks operate within a system where marijuana is still illegal and all business conducted with it is not only criminal, but proceeds are also subject to forfeiture under the Proceeds of Crime Act. CIBC (Canadian Imperial Bank of Commerce) and RBC (Royal Bank of Canada) have announced they will be following BMo (Bank of Montreal) and the other first set of Canadian banks and joining the line in the marijuana banking business. What are the implications for Saint Lucia? Do the local branches of Canadian banks now have an edge over indigenous banks if and when marijuana banking business reaches the island’s shores? What are the Correspondent Banking implications for Saint Lucian and Caribbean banks if they do banking business with Canadian companies engaged in any type of marijuana-related business? If Saint Lucian and Caribbean seasonal agricultural labourers legally earning money on future marijuana farms bank on depositing or sending their earnings home to or through a local bank, will the local bank facilitating the transaction be engaging in an illegal act? Air Canada has announced it will allow passengers to travel with marijuana between Canadian states, so does that make it a money laundering company? If it is so classified under our laws, what are the implications for Air Canada’s long-standing traditional business ties with Saint Lucia and the Caribbean? St. Vincent and the Grenadines is looking to attract investment in marijuana, so what are implications for its ties with other CARICOM states not interested in doing marijuana business? And if and when Kingstown starts doing marijuana business, will its contribution to the OECS courts be considered ‘proceeds of come’? The laws of Saint Lucia create ambiguities on the part of the institutions willing to do anything business-wise involving marijuana. As 1st National Bank MD Johnathan Johannes pointed out, the society is still split on the issue and the jury is still out on the whole marijuana matter. But before and since the bank’s discussion there have also been several local developments of note that add to the continuing debate. Invest Saint Lucia (ISL) has confirmed it is discussions with foreign investors wishing and willing to do marijuana business here. Cabinet has indicated it will meet with the local marijuana lobbying group, The Cannabis Movement, for discussions on the way forward on the decriminalization of marijuana. The Bar Association hosted a public discussion on the issue as well. The Police Welfare Association (PWA) says it supports decriminalization. And a former Police Commissioner says it’s time to free-up the weed, release those serving time for small amounts and cleanse their criminal records. The general conclusion from all the mentioned discussions and disclosures is that there is growing support for revisiting the laws after a necessary level of legislative discussions related issues. Legal advisors and other risk assessment officials at local banks will quickly point to the Dangerous Drugs Ordinance and the Proceeds of Crime Act and advise accordingly against their institutions doing anything that will expose them to five-million-dollar fines and other existing penalties. That’s their job. But as the 1st National Bank’s discussion revealed, there are also those in the banking sector who feel that Saint Lucia, its banking industry and the country at large cannot afford to lose out on the banking end of the emerging global trend of marijuana business. These two views content within the local banking system, as in the wider society. But as the videos and other online and media reports from Canada again underline, Saint Lucia, the Caribbean and other developing countries around the world – especially cash-strapped small island states are dragging their feet and playing the waiting game while the grass is becoming the new Green Gold elsewhere. The advice – to the Governments mainly – from the proponents for turning a new leaf is: Make hay while the sun shines! Have You Switched To Online Banking? Welcome to MoBanking! 1st National Bank’s innovative tool that puts the power of banking right in the palm of your hand. 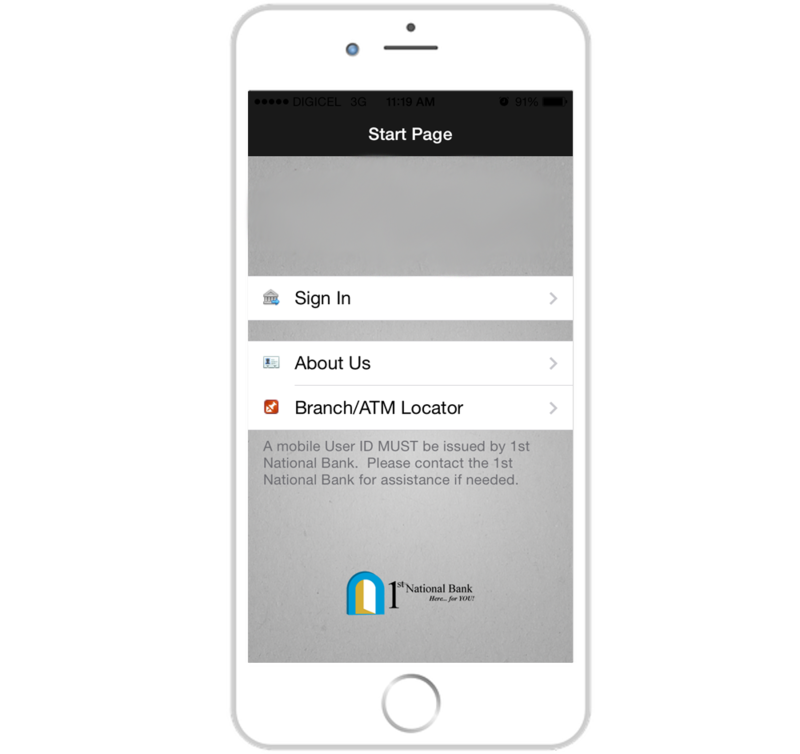 With our Mobile Banking App, customers can access their account anytime, anywhere, with their smart phone or device.